The Redcliffe Jetty Markets have grown over the last 4 years from a small street market into a vibrant iconic ‘must do’ weekly event for locals, interstate and international travellers. It is based along the Anzac Parade Parklands on the foreshore in Redcliffe which boasts unmatched scenic views and unique and tempting market wares. The Redcliffe Jetty markets is not only a great place to visit and purchase unique products but it also has its heart in the community. The Redcliffe Jetty Markets strongly supports local communities and charities throughout the year as well as important community and historical events. We endeavour to be an essential part of the community and work with the Moreton Bay Regional Council and the local community to further promote and support Redcliffe. 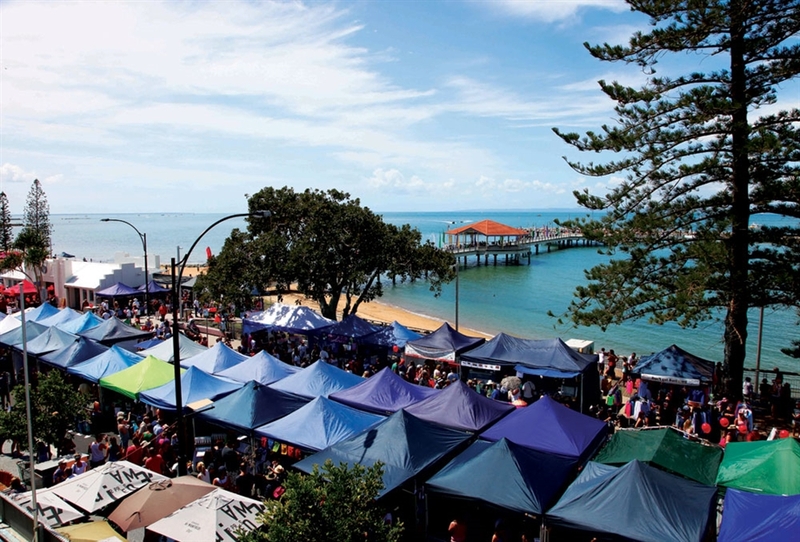 The Redcliffe Jetty Markets is the Redcliffe’s Premier peninsula market. Free on-site parking. Come and have breakfast at the Lions' catering van, then browse the stalls. 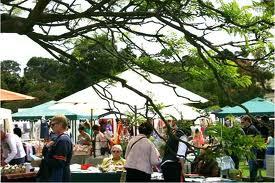 Stalls including food, plants, fruit & vegetables and general bric-a-brac.